Toronto-based creative agency Blackjet has added something new, interesting and never tried before to its employee benefits package in order to better attract the best talent in today’s competitive marketplace. It’s the agency’s most progressive perk yet. These days, talent retention is a challenge. Tech giants and startups tend to offer really great perks that often mesmerize employees. Blackjet knew that it had to think differently in order to attract and retain topnotch talent. Knowing that the future of the agency lies in the potential of tapping uber-talented, professionally budding, fresh-minded young millennials, Blackjet decided it had to offer up an incentive that they couldn’t possibly resist: free pot. Marijuana, cannabis, weed, ganja, hemp, dope, green, grass Mary Jane, call it what you will, millennials want it and Blackjet’s got it for free. 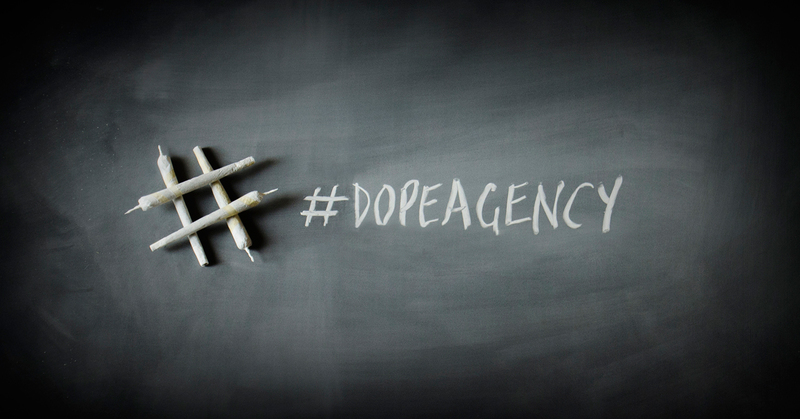 The agency operates in a creative industry, after all. Knowing that laws are changing in the United States, and that Prime Minister Justin Trudeau is pushing to change the laws here in Canada, Blackjet figured it would get ahead of the curve with its new, revolutionary benefits package. As soon as it’s not a criminal offence in Ontario, the agency will start dispensing cannabis right next to its beer fridge. Blackout says it just gives you a different creative perspective. The agency will also be installing a new snacks dispenser. Blackjet parters Rob Galletta and Mo Solomon announced the new benefits package containing free cannabis in a presentation at Adlounge’s Next Gen event for recruiting young talent on Tuesday, March 22nd in Toronto. "The response to our ‘pot perk’ announcement at the Adlounge Next Gen event has been overwhelmingly positive,” said Mo Solomon, Partner, Blackjet Inc. “It will be tough to weed through all the candidates. Now we're even looking into some extensions like brownies and cookies." The decision to add this new incentive to Blackjet’s employee benefits package was not taken lightly. Indeed, it was informed by one key insight, attained through a number of focus groups with Blackjet staff, most of whom are, in fact, millennials. While lots of research has described millennials as selfish, disconnected, unreliable job-hoppers that are hard to manage, Blackjet’s discovered the truth is, all they need is weed. Blackjet’s employee benefits package also includes a number of other competitive incentives, including: a casual work atmosphere and dress code, pet-friendly office, summer Friday half days, summer extra-day long weekends, free coffee, free beer a ping pong table, office music sharing, a social space and common area, wall mounted iPads,and amazing office events and excursions (ski/snowboard day, axe throwing, curling, guac-off / chili competitions, Oscar & sports pools).